4 bedrooms, 2 baths, sleeps 8-10+. Pet Friendly, fully furnished modern home. This is our personal home and we rent it for only a few weeks every summer. With that in mind we ask all renters for information about their stay including number of guests,etc. We have an unusually large lot for intown Old Orchard with a huge backyard and parking for 6 vehicles+. Some ocean views, private deck off master bedroom, 4 bedrooms(one is a double sized room with 1 Queen 1 full sized beds), 2 baths, sun porch for entertaining in any weather. 2 Blocks down the street to the beach for an easy walk and a fully furnished home with all the necessities to make your time at the beach a vacation to remember for a life time. Short walk to town and all the attractions. 4 minute walk to miniature golf. 7 miles of sand beach. We have many more requests for our home then we do weeks available. To reserve your space for next season (2019)we are trying to make it as fair as possible. Call with any questions. Special rates for weeks in June. Call for more info. To our Canadian friends and families, please call for special discounts when exchange rates rise. Only rooms have satellite the living room and master bedroom. All other rooms have tv but only local programming. We had an awesome time here. Michelle is, as everyone has said, a wonderfully nice person and keeps a very nice home she shares with all of us renters. We had a great time and hope to come again next year! MICHELLE is always there for advise and help. It is clean and spacious. A nice size yard to enjoy sun or shade. We love the closeness to the beach and night life. Easily walkable to lots of fun. We had an awesome time...the house is perfect for our group of 8 adults and 2 grandkids!! The beach is a close walking distance and the pier is also within walking distance. The house was very clean and Michelle (the owner) is very accommodating!! Thanks for a great vacation!! Excellent vacation house to rent. Our family had a great stay. Weather did not want to cooperate but the house was great. Was clean and beyond what we expected. My disabled mother had no problem moving throughout the first floor and the porch area was a great place where she could paint. Kitchen was fully loaded and great washer and dryer. Plenty of beds and nice large living room. Air conditioners worked great with the humidity we had. Short walk to beach and 2 corner stores. We walked to pier also. Loved the backyard parking which was much safer than backing out onto busy Union Avenue. Fire pit was used and our extended family staying down the road visited and had plenty of chairs around the fire. Michelle, the owner, was very nice and made us feel at home. We will definitely be staying again next year. Michelle's Beach House at Old Orchard Beach was beyond our expectations. The House was roomy for our 4 children and 3 grandchildren and extremely comfortable. All the beds were comfortable and clean. The house is fully eaquiped with all the amenities you could possibly think of. The Wi-Fi signal was strong and consistent. The gas grill outside was clean and the propane tank was full. The large, partially fenced, backyard and fire pit allowed us to relax and play family games. Just a short 7 minute walk to the beach with a 4 month old, and 7 & 10 year olds. The walk to the center of Old Orchard Beach and the Pier was only about 15 minutes. Restaurants, Rides, and Shopping are all walkable. We all enjoyed our 7 days at Michelle's Beach House and will return in the future. 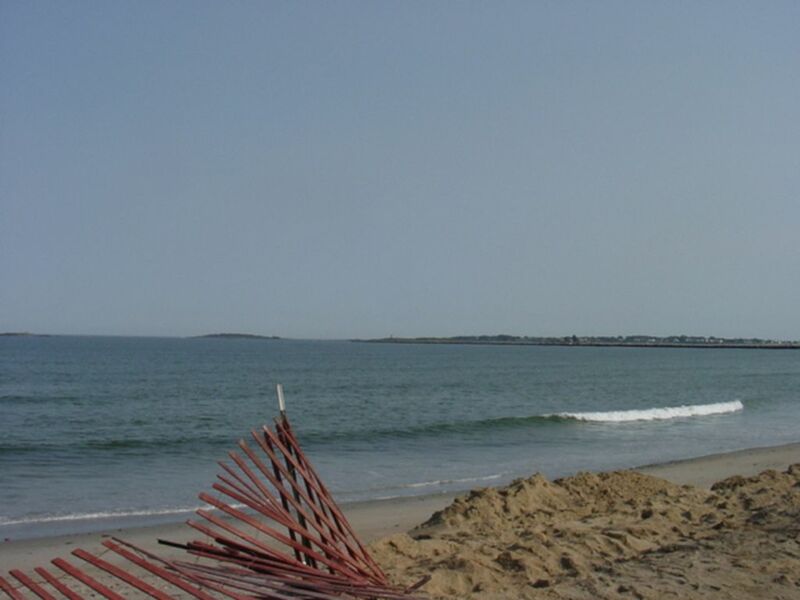 This is probably the best value for the money for a 4 bedroom home at Old Orchard Beach. Our large family loved our stay in this home. There was plenty of room and enough televisions to allow kids and adults to have their space. It was a big help to have linens and towels provided. The house was nice and clean too. We were there during a heat wave and made full use of the air conditioning. The homeowner was friendly and helpful and just a phone call away if we needed anything. 7 Miles of White Sand Beach, amusement park, mini golf and arcade within walking distance, water park, movie theater a short drive. great downtown area includes lots of shops, restaurants, a boardwalk. fireworks on the weekends, ocean park theater, concerts, great seafood and so much more.